Those weary of water need not continue, because as the title suggests, this is a pool bar. 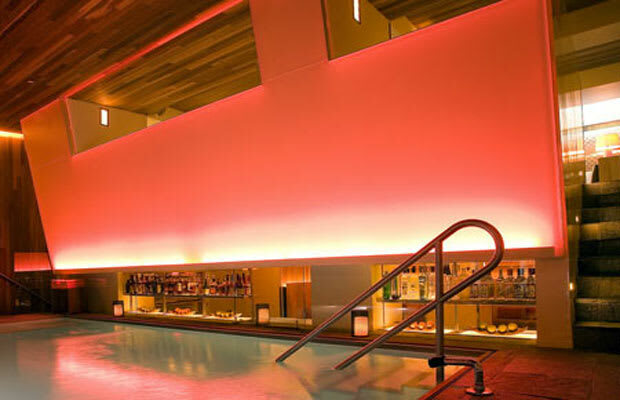 The indoor pool ends right at the bar, so you can doggy-paddle your way to a cocktail while scoping out bikini-clad hotel guests, some who might try to pass off their undergarments as swim gear (we’re not mad). The drinks are sweet and strong, and the pool staff is courteous and replaces your towels stat. It’s Spring Break fill-in-the-year for everyone looking to party.